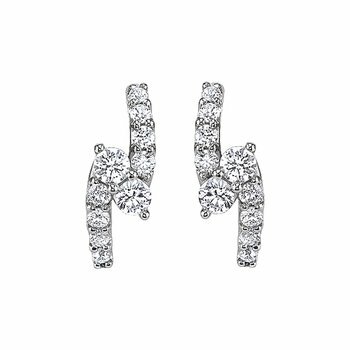 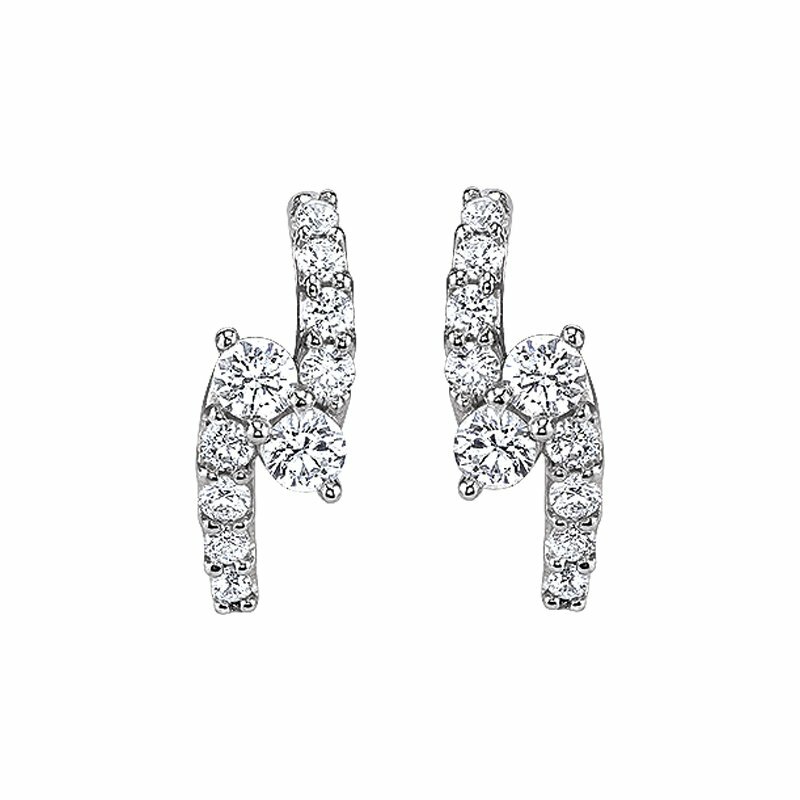 From the Love Story Collection, these unique diamond and 14 karat white gold earrings radiate effortless elegance. 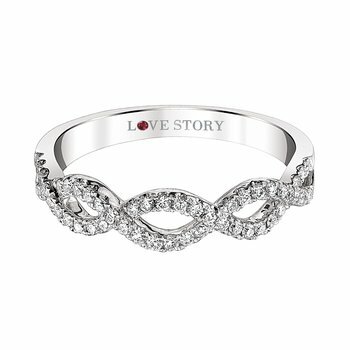 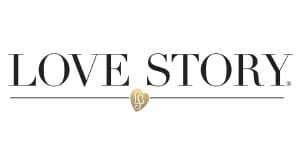 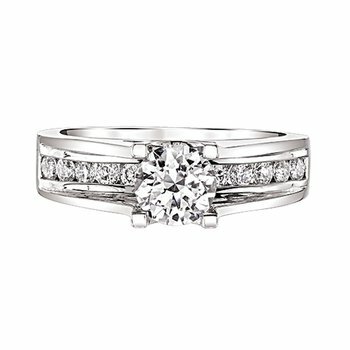 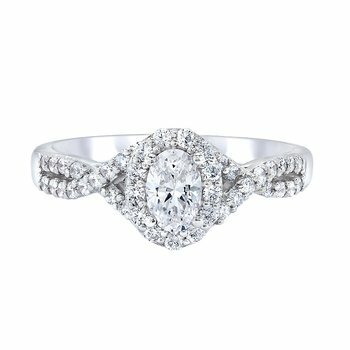 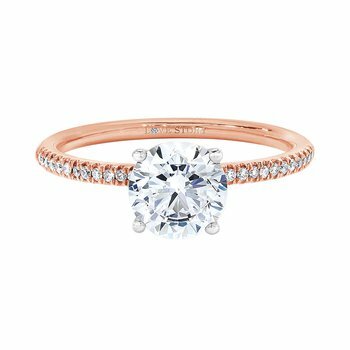 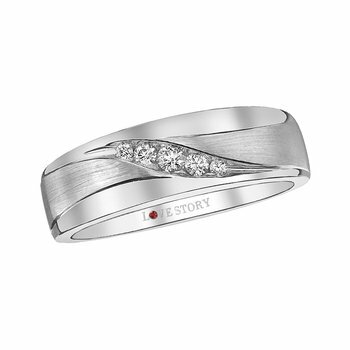 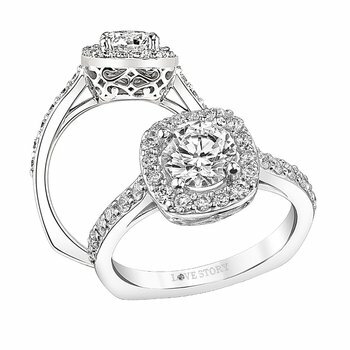 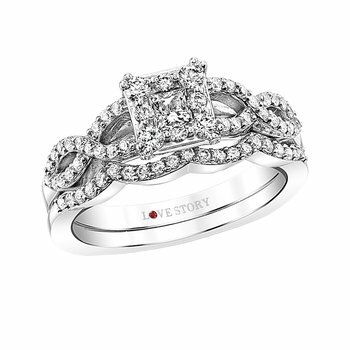 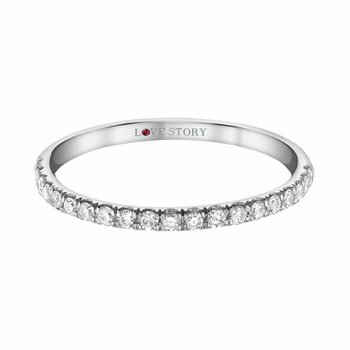 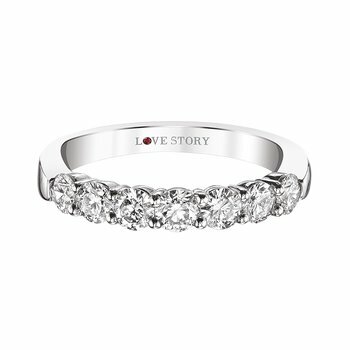 The Love Story signature logo and ruby are embedded in the shank for an added secret message. 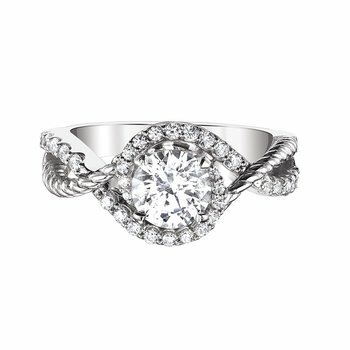 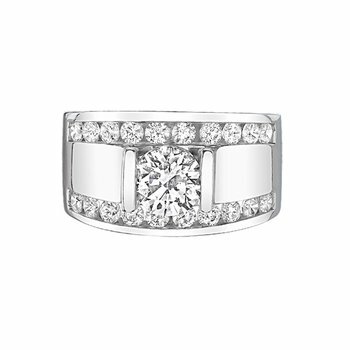 Matching pendant is also available for a complete look.